Stressed out? Feeling like life’s harder than it should be? You are not alone. For many of us, the battle for balance is a daily struggle. Stay balanced, and you will be able to enjoy life to the full. Lose balance, and life gets hard. 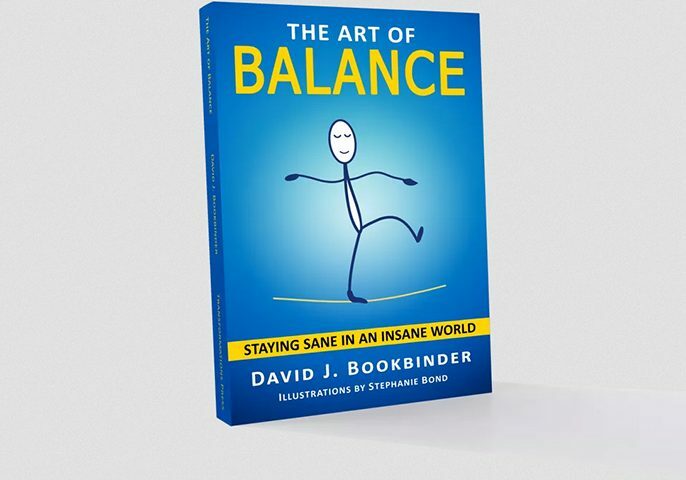 In this book, psychotherapist David Bookbinder shows us how to stay on top of the forces that unbalance us, recover quickly if we get knocked down, and be prepared for whenever life throws us a curve ball. The author provides a simple six-step process for recovering and maintaining balance in life. The strategies in this book can be used to handle both chronic problems that take us down a little bit at a time and sudden events that knock us flat. The advice offered by the author isn’t just relevant if you’re in crisis, it’s also a great way to keep track of your emotional state and to recognise when you’re going off kilter. In essence, it gives you the tools and insights to help you plan, evaluate, maintain or restore your balance.